While the Japanese tea making ceremony is considered an art, India’s ‘Masala Chai’ is a ritualistic culture. An ubiquitous household drink and popularly found on street corners, every Indian has their own version of preparing their beloved chai. Imagine walking down a crowded city street on a cold morning or journeying by train somewhere in India and the intense aroma of cinnamon and cardamom wafts through the air teasing your nose. Just then, you hear “Chai, gharam chai, masala chai” (tea, hot tea, spicy tea) and you notice the ‘chai wallah’ (tea vendor) dishing out tiny cups of chai for a few rupees. You reach out for one too, cradle the warm cup in your palms and sip the invigorating brew…satisfaction! 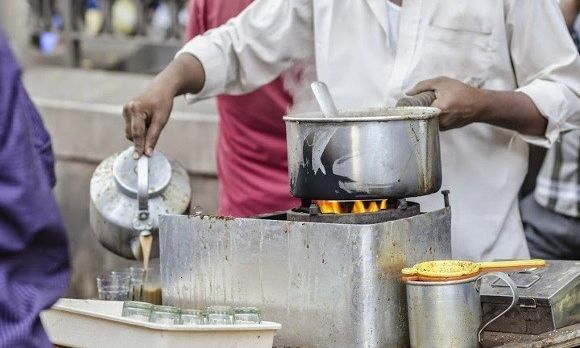 Tea stalls are a part of India’s landscape and street tea culture is everywhere, with the taste of sweetened milk blended with spices being ever so deliciously inviting. Indians drink an average of 4-5 cups daily, with every cup tasting different each time, making it that much more appreciated. Most people associate chai or tea with India, but it was surprisingly popularized during the British Raj. 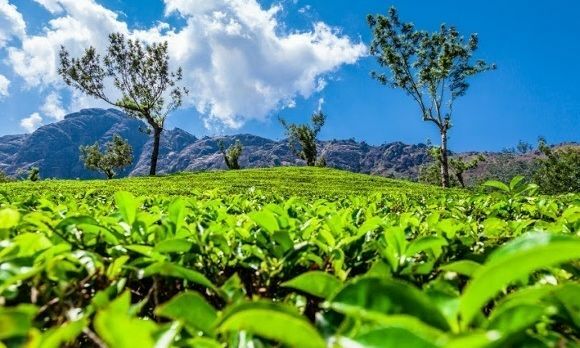 Tea growing areas of Assam and Darjeeling produced great tea, and the then British East India Company promoted tea to Indians. In time, someone decided to add spices to the sweet and milky brew, and that’s when masala chai kicked off! 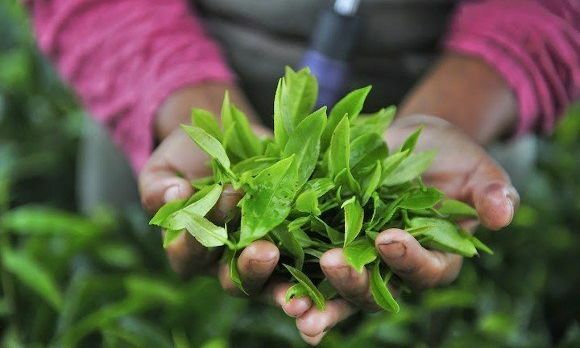 The type of tea used in the preparation is crucial. 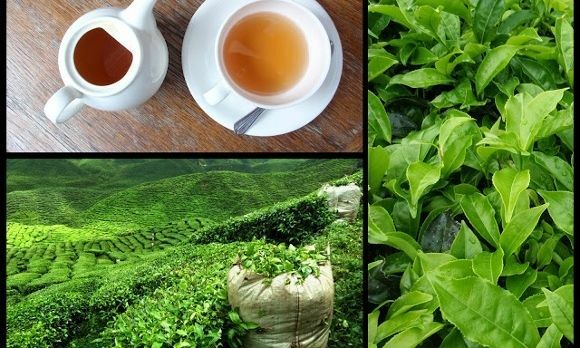 It need not be Darjeeling or Assam whole leaf or any high quality. The type used in masala chai is ‘mamri’ or ‘little grain’ tea – strong, cheap and ideally maintaining its flavor even after adding in strong spices. Many spices contained in masala chai are similar to what is included in the making of the famous Indian ‘gharam masala’. Every person has his/her own distinct recipe of ingredients. 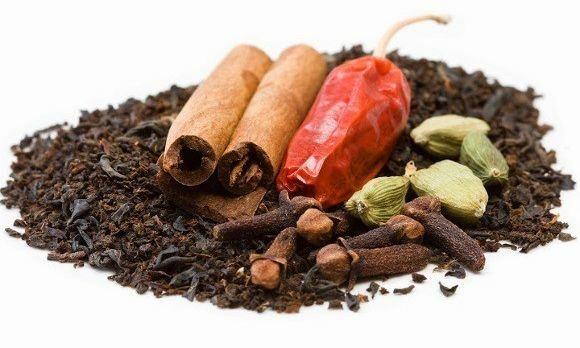 The chai masala largely comprises a delicious mix of ginger, cinnamon, cardamom, nutmeg, black pepper and cloves. The spices lend a delicious warmth, with the black pepper and ginger adding a subtle heat, perfect for those winter chills. 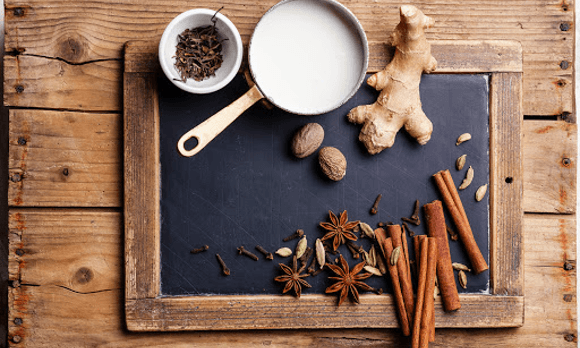 Methodology and ingredients differ from person to person – some prefer boiling all ingredients sequentially, while others are fussy about how often the chai should be stirred. 1. Put 1/2 cup water with 1 heaped teaspoon of loose tea (or 1 teabag) in a small pot, turning on medium-high heat. 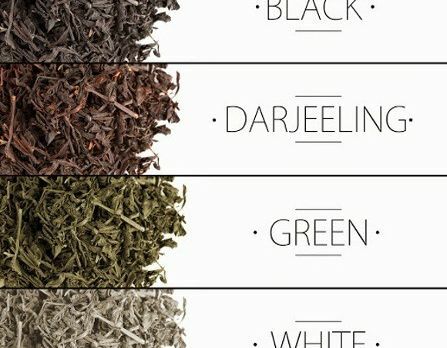 Be sure you make the tea strong enough to carry the overpowering spices. 2. When it comes to a boil, add 1/2 teaspoon of the dry roasted ground chai masala mix. You may also add the freshly minced ginger for that element of comforting heat. 3. As soon as all ingredients reach boiling point, remove from heat briefly to pour in the milk and sugar or desired sweetening. 4. Return to heat and boil again, stirring as required, infusing all the flavors well. If you like the milk aerated, then a whisk would do the trick. 5. Once suitably boiled, turn the heat off and let it saturate/steep for a few minutes. 6. Using a strainer/fine sieve, pour the brew into a cup, pressing the mixture down with a spoon to ensure you get all the flavors into the cup. 7. Enjoy with a selection of cookies, sandwiches or hot Indian snacks. There’s nothing quite like a steaming cup of masala chai, transporting you to a world of comfort. Enjoy conversations and laughter, quiet moments and contemplation, over this almost therapeutic brew. Capture your senses, be serenaded into poetic memories fondly remembered through the Magic of Masala Chai! Contact Enchanting Travels for more inspiration and to plan your tailor-made, private India vacation assisted by our expert team.